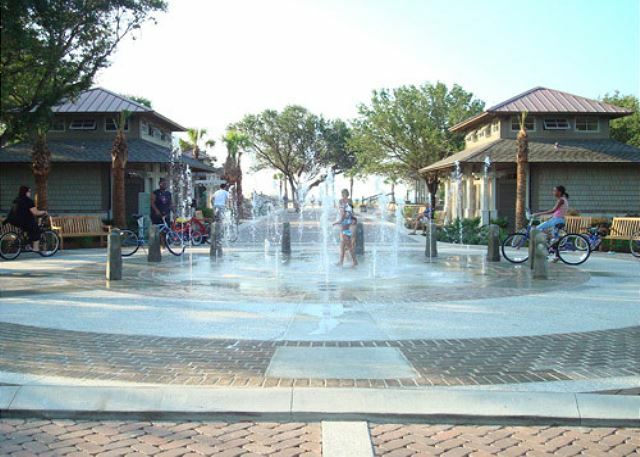 Tree Tops Villas is a short walk to Coligny Beach Park and Coligny Plaza which has many great shops and restaurants. 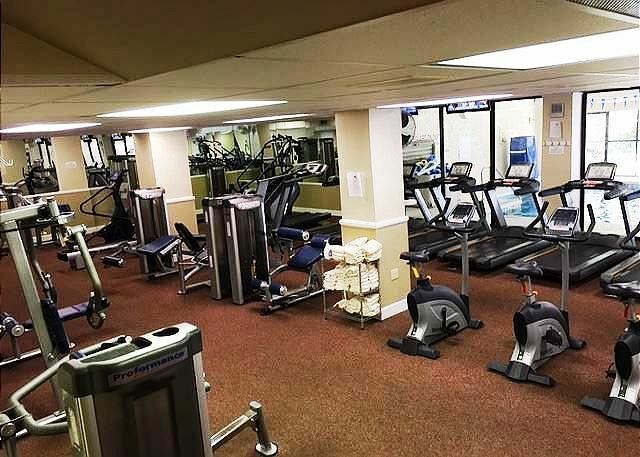 Enjoy complimentary access to the Players Club for use of their indoor fitness center. 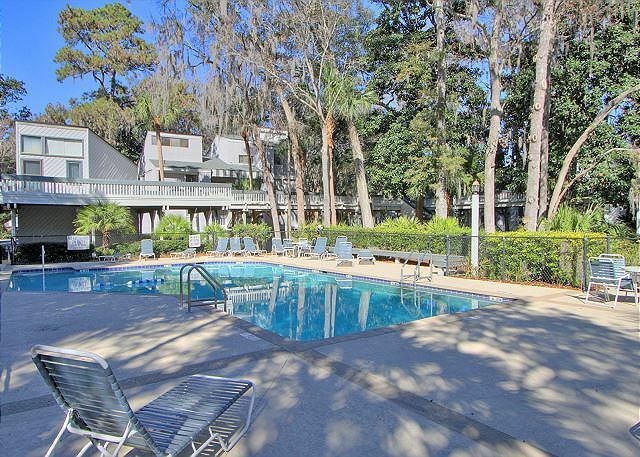 Enjoy complimentary access to the Players Club for use of their indoor heated pool. 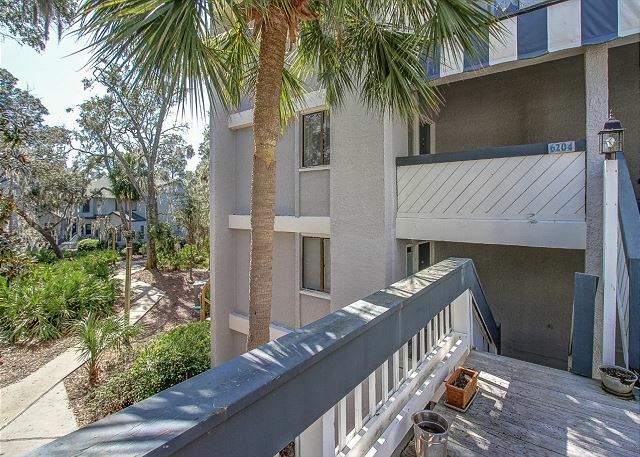 Welcome to Tree Tops 6204, located just a short distance to the beach. 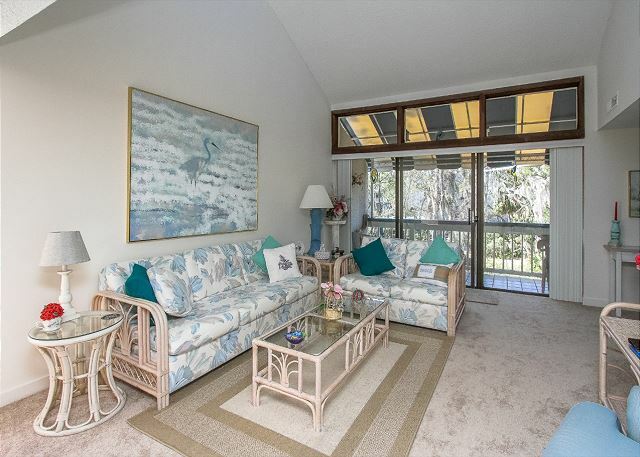 This villa is an upstairs villa overlooking a nice lagoon with a light view of the pool. This nicely furnished 2 bedroom, 2 and a half bath is an upstairs villa and is two stories once inside. 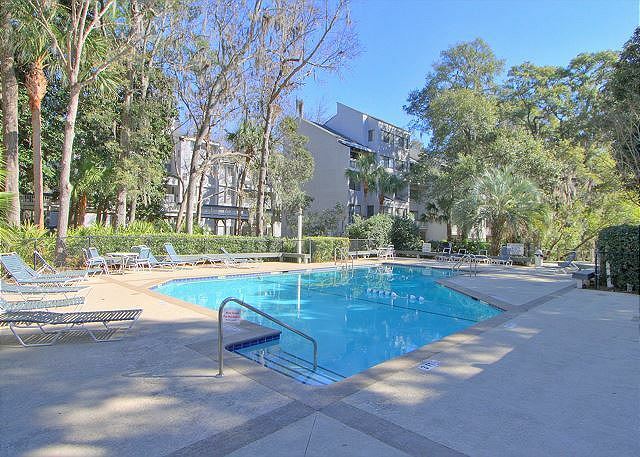 On the main, entry level of this townhome you will have your two bedroom and two bathrooms. 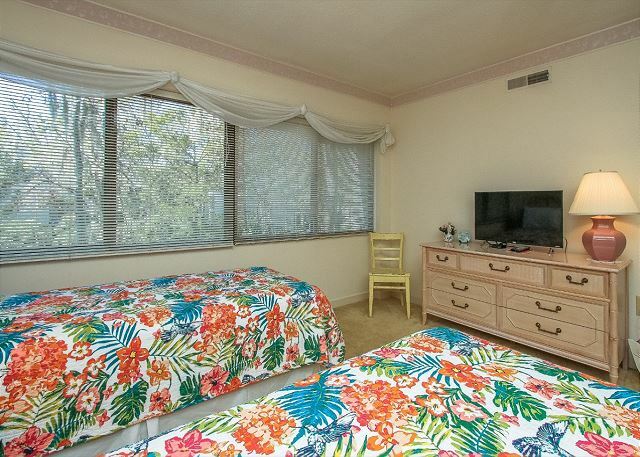 The master bedroom has a queen size bed with private en-suite. 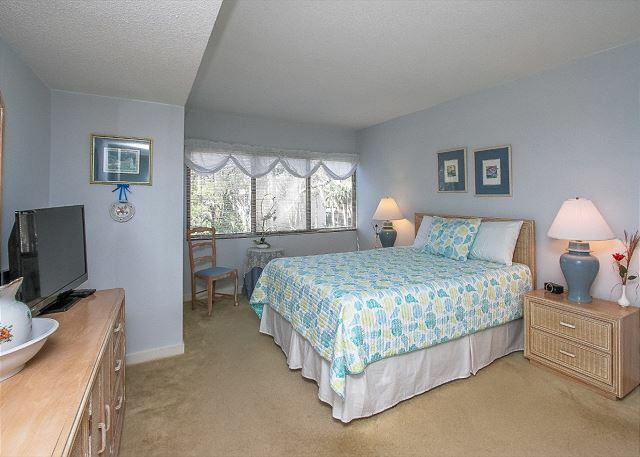 The guest bedroom provides two twin size beds. Both TVs provide their own TVs. 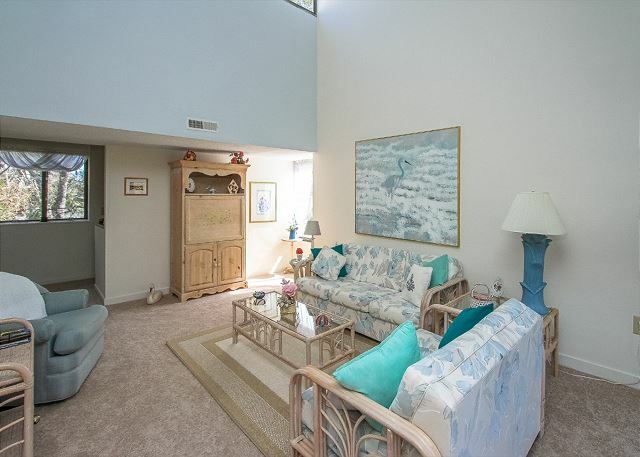 Located upstairs you will find a spacious living room with high ceilings and comfortable furnishings. 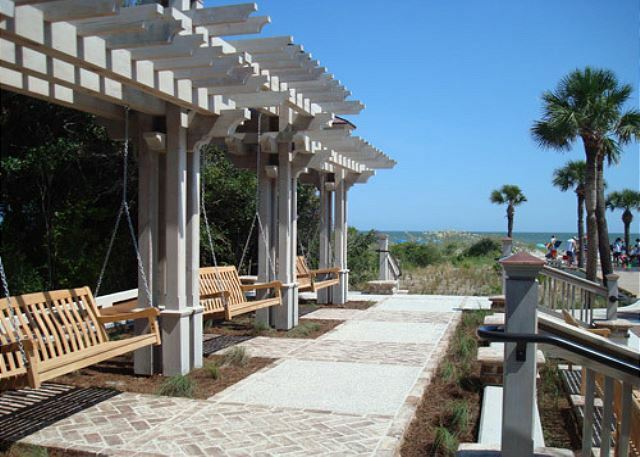 Just off the living room relax and unwind on the covered deck overlooking a peaceful lagoon. 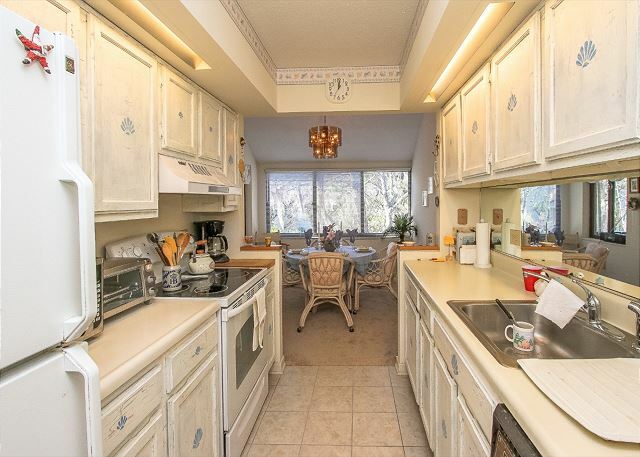 The kitchen has everything you would need for your vacation. 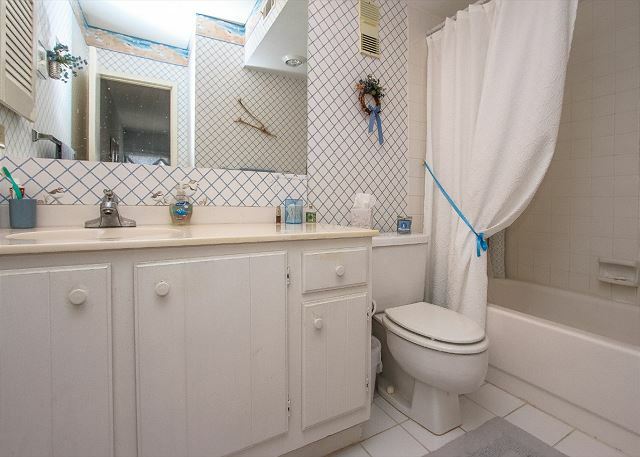 It's equipped with full size appliances, microwave, coffee pot, dishwasher and plenty of cabinets and counter space. 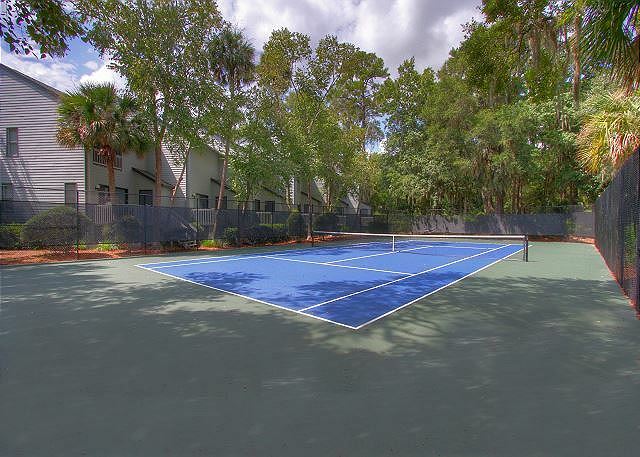 Treetops is just a quick walk to the beach, has a new tennis court, pool, natural landscaping, and lagoons. You will feel like you are somewhere special once you're in the complex. 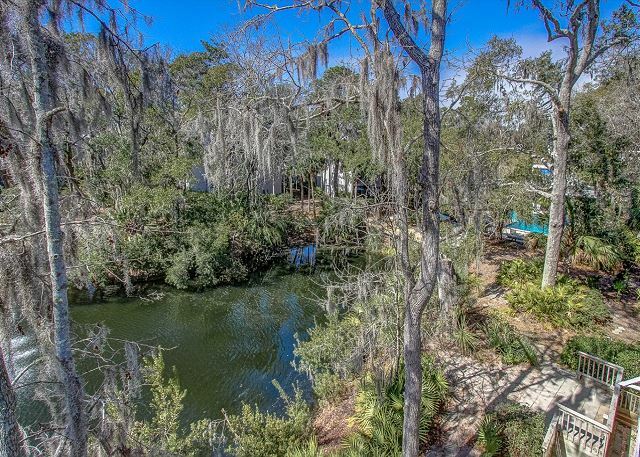 The villa is half a mile from Coligny Plaza that has dozens of shops, restaurants, and entertainment. 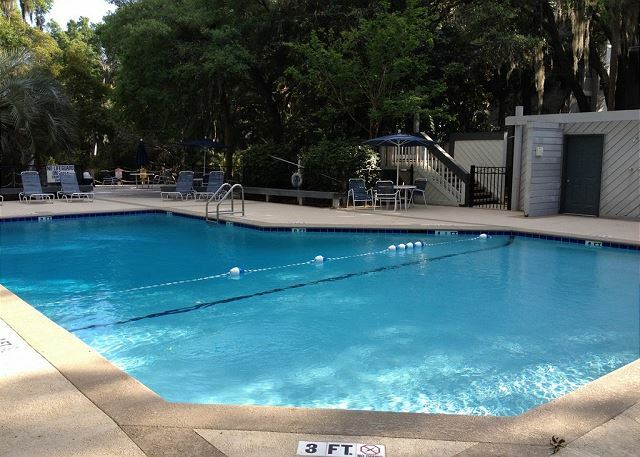 Enjoy complimentary access to the Player’s Club during your stay for use of their indoor heated pool and fitness center.